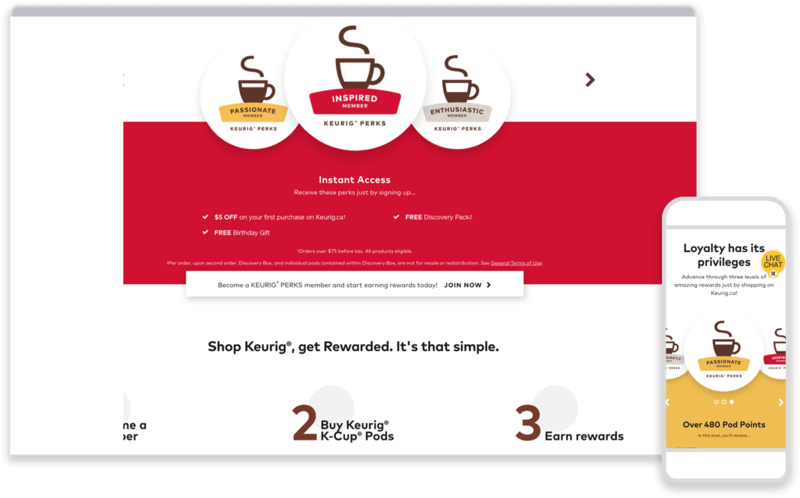 Keurig was in need of an integrated loyalty program that engaged with new and existing customers online and offline. We were brought in to guide this project from inception to execution, using our creative team to establish the brand and our technical team to make it a reality. 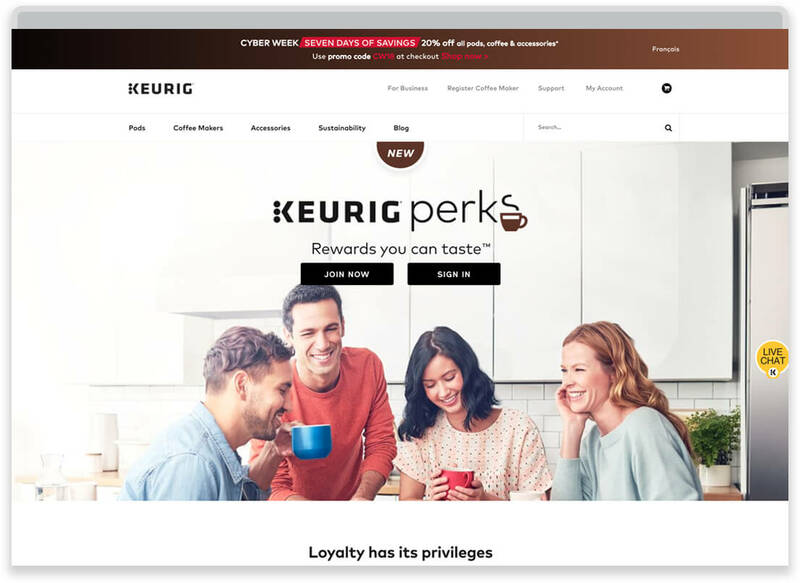 The Keurig® Perks program is a rewards program designed to thank customers for their loyalty on Keurig.ca. Customers can accumulate Pod Points for a host of privileges. Pod Points are exclusive on Keurig.ca. 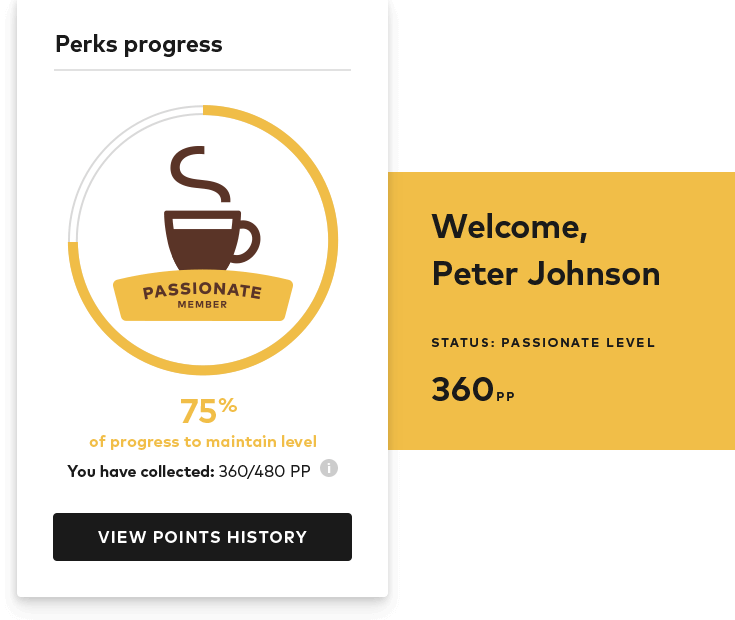 All customers with an account on Keurig.ca are automatically enrolled in the Keurig® Perks program. All customers can join the program by subscribing to Keurig.ca newsletter, creating an account on Keurig.ca, making your first purchase on Keurig.ca, or registering your coffee maker. Users start earning Pod Points from their very first purchase. They can only earn Pod Points when you purchase K-Cup® pods, K-Carafe® pods or Rivo® pods (i.e. 24ct Box of Pods = 24 Pod Points), and when you purchase a bundle containing K-Cup® pods or K-Carafe®pods. 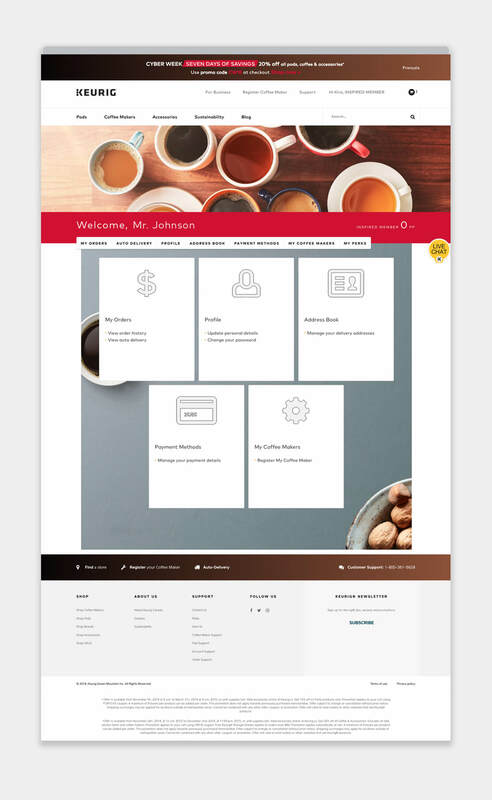 The program has been live since mid 2018 and has grown from zero users into one of Keurig’s most important customer engagement programs.